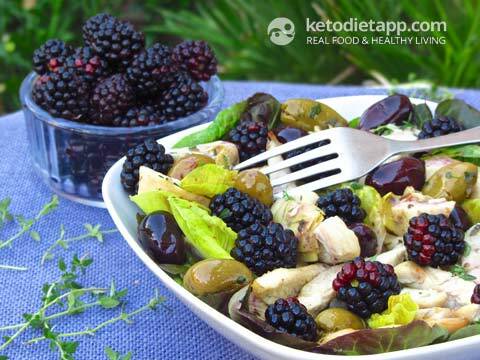 Keto-dieters often wonder whether fruit can be eaten on a very low-carb diet such as 20 grams of net carbs a day. 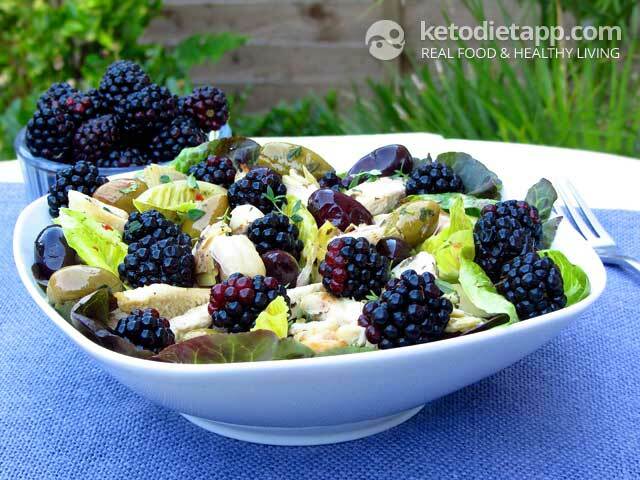 This summer salad is a proof you can enjoy sweet berries and still experience all the benefits of ketosis! Not only it's low in carbs, it's also packed with potassium (60% RDA)! 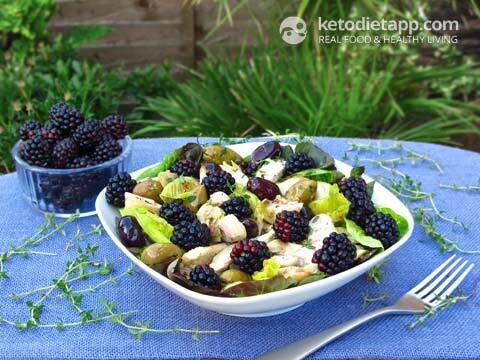 As you may have read in my post about keto-flu, potassium as well as other electrolytes are vital for your health and even more so in low-carb diets. This amazing recipe includes my Home-made Fruit Vinegar. 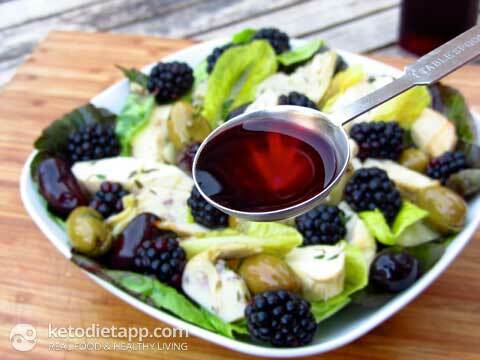 1 tbsp blackberry vinegar or any other fruit vinegar, see recipe for my Home-made Fruit Vinegar. You can also use any sugar-free fruit vinegar like Star's Red Raspberry Vinegar or balsamic vinegar. 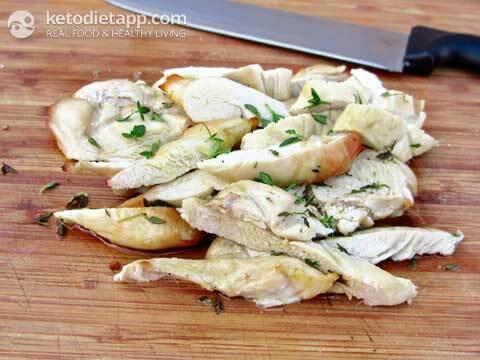 Brush the chicken breasts with half of the olive oil, add lemon juice, thyme and season with salt. Leave for at least 30 minutes minutes to marinade. Note: You can use any kind of cooking oil instead of olive oil (ghee, coconut oil, lard, etc.). Although marinating is optional, it is recommended. Preheat the oven to 200 °C/ 400 °F. 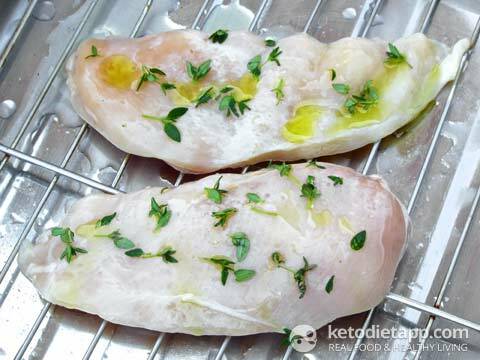 Place the chicken breast in a baking dish and bake uncovered for 25-30 minutes. Remove from the oven and let it cool down. Slice into desired pieces. 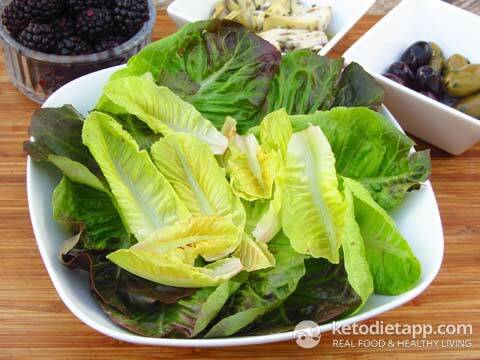 Wash and place the lettuce into a salad spinner or drain using a paper towel. Fold into a serving bowl. 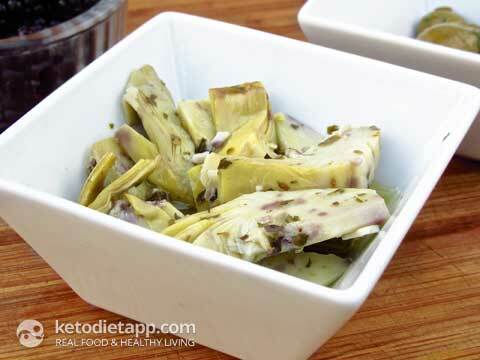 Drain the artichoke hearts and slice them into desired pieces. 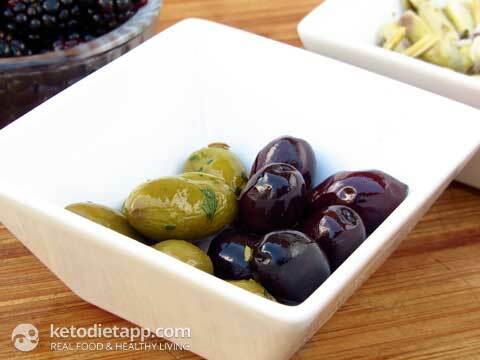 Add them to the bowl together with the sliced chicken. Add drained kalamata (or other black) and green olives. 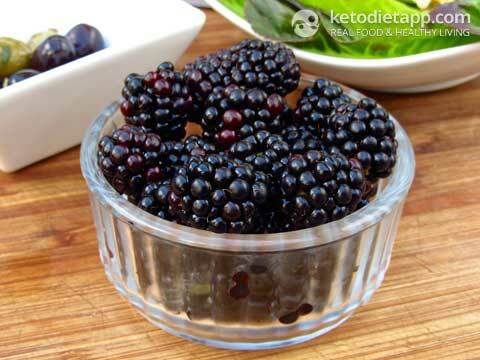 Wash and drain the blackberries and add them to the bowl with the other ingredients. 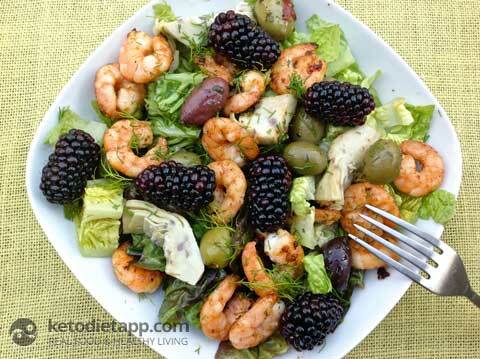 Drizzle with the remaining extra virgin olive oil and fruit vinegar. Note:You can prepare the meat in advance and have it ready as a quick source of protein for your low-carb meals. When it's grilled, let it cool down, cut into desired pieces, place in an air-tight container and store up to 2 days (or freeze up to a month). 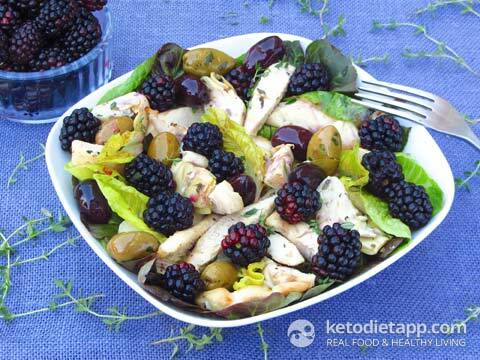 so, how much olive is supposed to be used in the chicken salad? 1/4 cup? it just says "1/4 extra virgin olive oil". thanks! love all the recipes so far. I've just found your blog & it's amazing! Have been on diet for 2 weeks already but found it hard to find interesting things to eat.Now I have loads of ideas. However, I can't eat nuts in any form especially coconut and I see there are many recipes with coconut or almond milk. What alternatives could I use please? Thank you Gilly! It really depends on the recipe - I'd try seeds like pumpkin or sunflower (if you can eat them) or other foods like avocados that are high in fat. If you can eat dairy, you can use cream. Also, you can make "milk" form seeds. Are the artichoke hearts marinated or unmarinated? This looks amazing! Pretty food always tastes great!